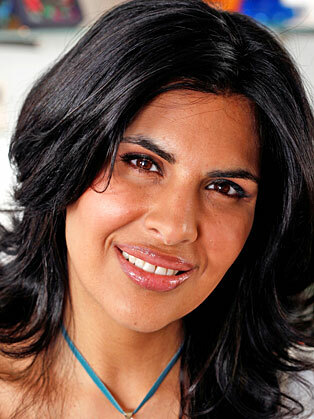 Anjum was one of the first writers to create and write Indian recipes catering for the health-conscious cook and her first book, Indian Every Day: Light, Healthy Indian Food, was published in 2003. Since then she has written two best-selling books on Indian Food; Indian Food Made Easy (2007) and Anjum’s New Indian (2008). Her latest book Anjum’s Eat Right for Your Body Type (2010) is a ground breaking health, lifestyle and diet book inspired by the principles of Ayurveda and has over 80 healthy eating recipes which span flavours from all cuisines. Ayurveda is an ancient Indian science and is thought to have formed the backbone of many of the Eastern holistic medicines. It had a unique way of looking at the body and understood completely the relationship between food and the body. According to Ayurveda, what you eat can affect how you look, how you feel, who you are and most importantly, your health. Anjum has been following the principle of Ayurveda for the last 8 years. Anjum is working on her 5th book, called “I love curries” and is a collection of our favourite curries from the home and from restaurants.